We went blueberry picking today at Mercer Slough Blueberry Farm today. It was fun, Lucy met some nice kids, I got to see a few familiar moms that have been at some of the other events that we have gone to, and we got just over a pound of blueberries. Yea I was super excited that we were going berry picking again. I think berry picking is awesome. I have never done it before we moved to Washington and I think it is the beezkneez. And I bought some homemade strawberry syrup, but that is besides the point. The point of this post is that we saw slugs. They were everywhere. 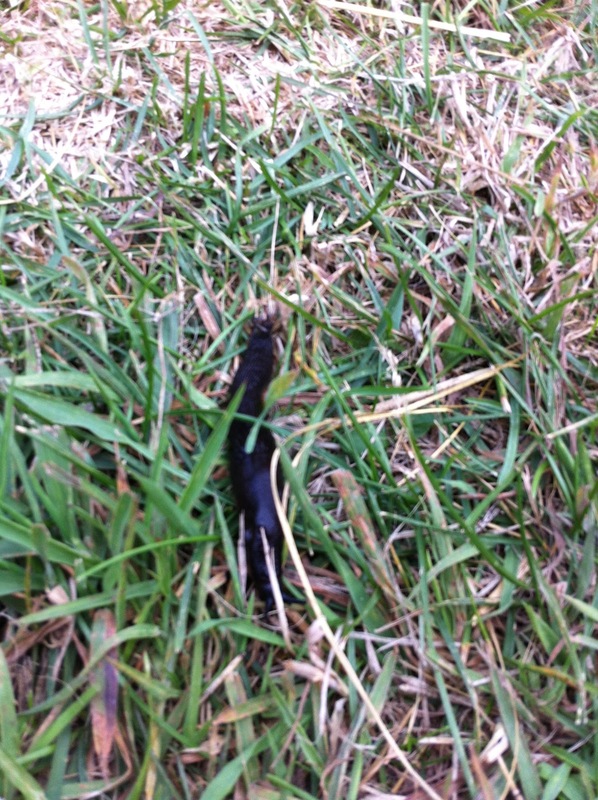 I have never seen a slug before. I have seen snails, I have held snails. I have never seen nor held a slug. 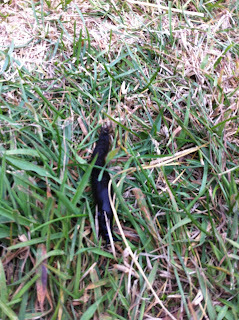 I didn't hold a slug today either, gross, but I did look at them. Why all of a sudden the interest in bugs? Maybe because there just aren't enough fun ones in Vegas? I dunno. But what I do know, is that although these guys are horribly disgusting, they were pretty neat to see them everywhere. Lucy didn't care about them and Dexter was to busy sucking his thumb to really pay attention to me, but wow. SLUGS!